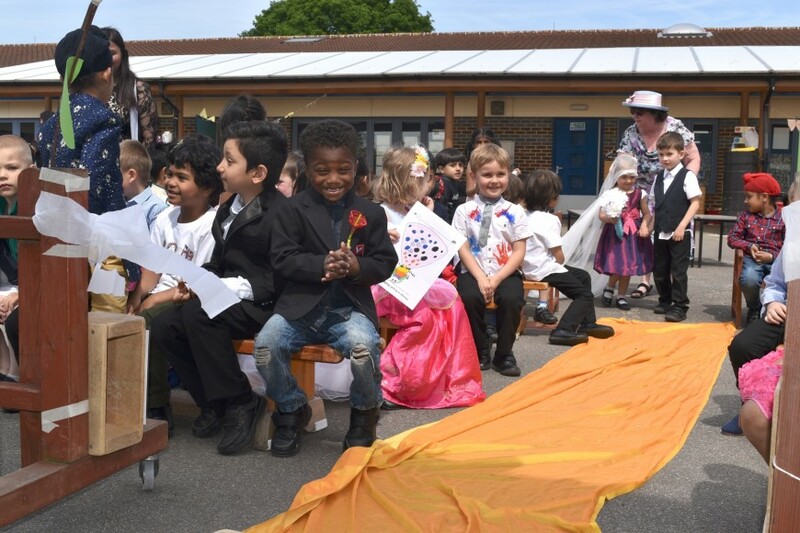 EYFS had a wonderful day celebrating the Royal Wedding on Friday 18th May 2018. 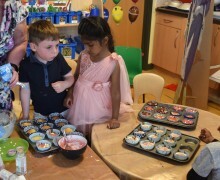 They spent the morning reading recipes, preparing sandwiches and baking cakes. 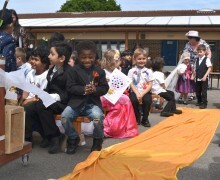 They wrote invitations and explored different ways to play music for the event. 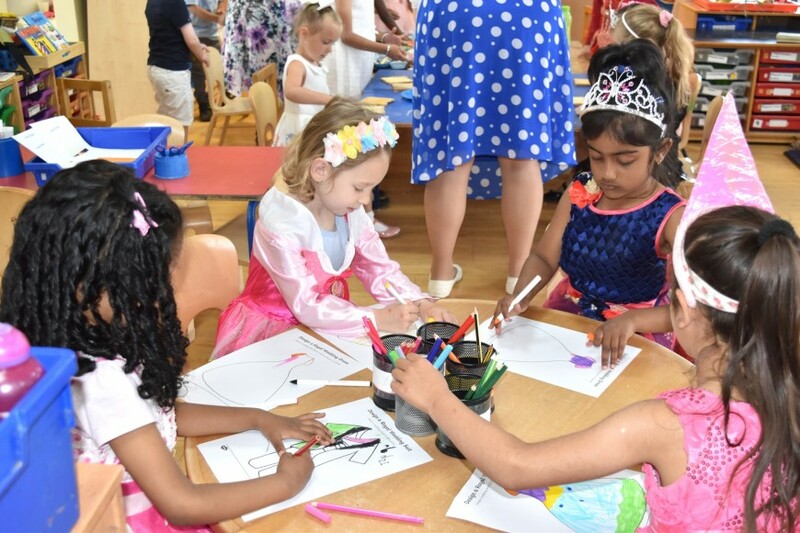 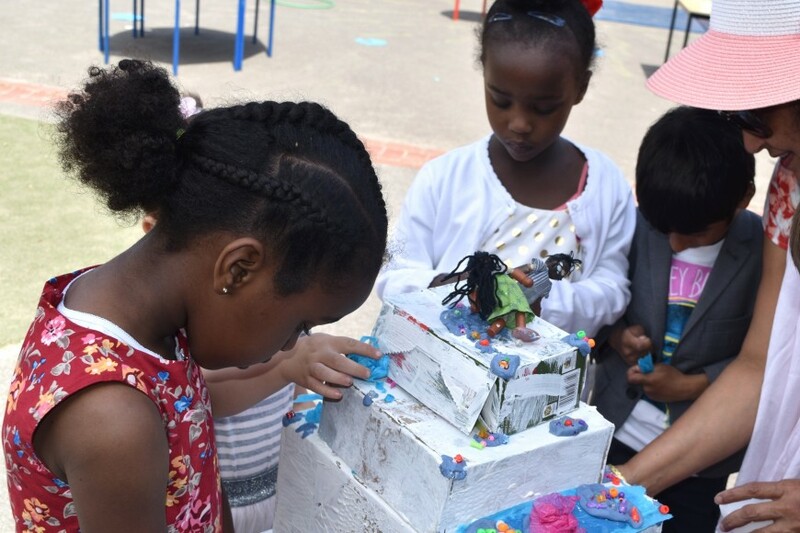 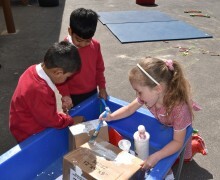 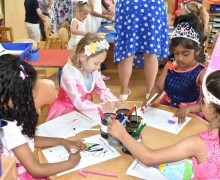 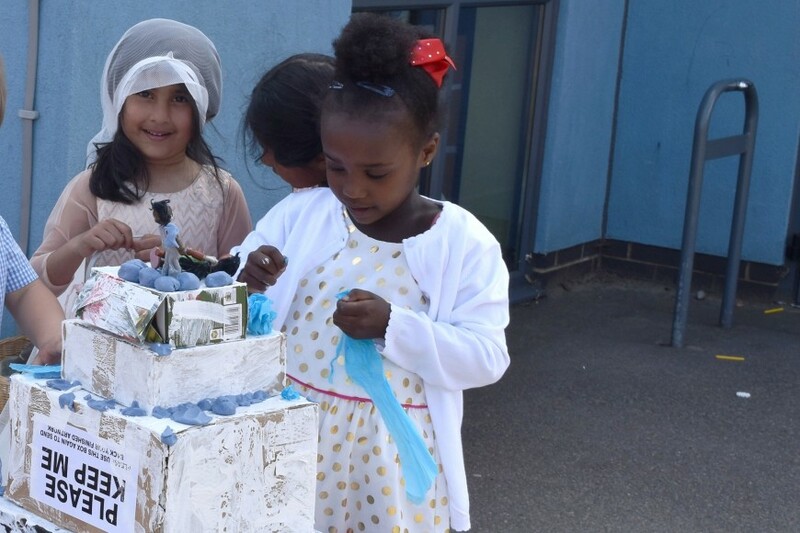 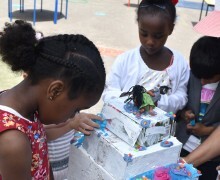 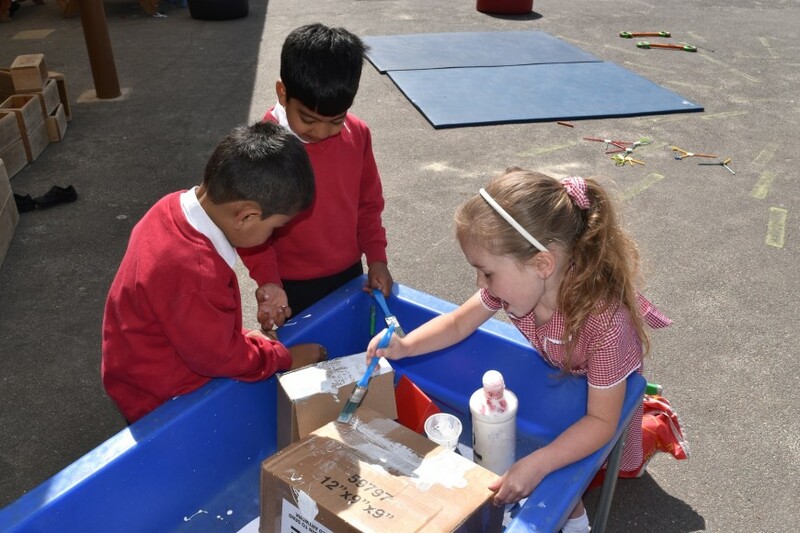 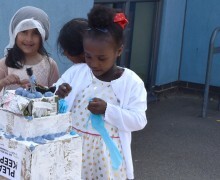 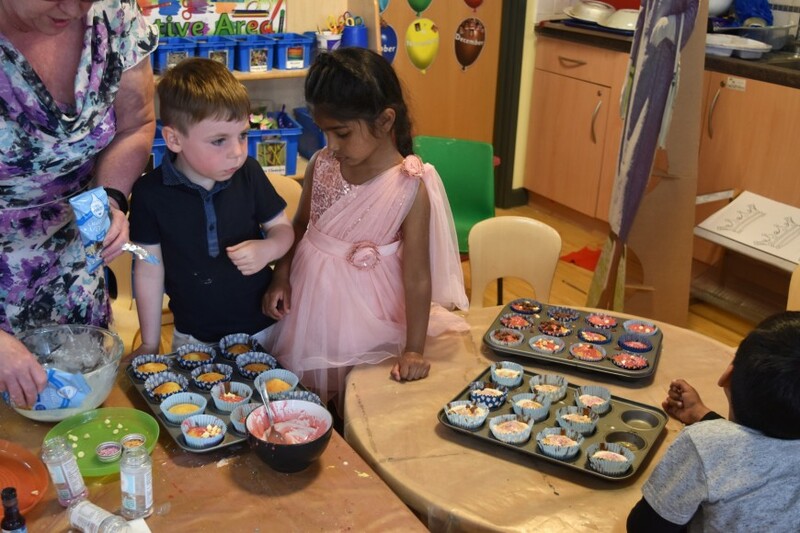 During the afternoon, the children put on their own ceremony, dressed themselves in smart outfits and wedding dresses, played music on a keyboard and found out about all the different things that happen during a Royal Wedding. 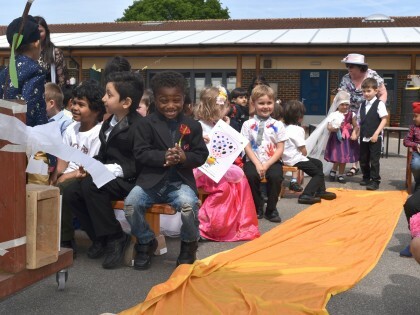 After the happy couple were married, the whole congregation enjoyed a traditional tea party followed by dancing.